A car bomb has struck the Iraqi capital, Baghdad, close to RT’s Arabic channel offices, with police confining employees to the building. 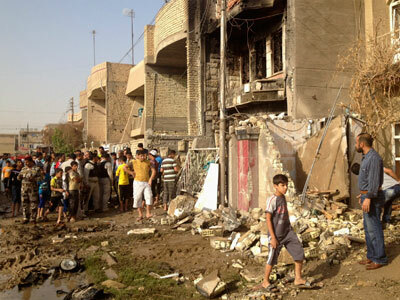 A wave of blasts has swept Iraq on the eve of the Islamic New Year, killing more than 20 people. ­The explosion that has killed at least one was caused by a car bomb detonated by the Meridian Palestine hotel, shattering the windows and damaging the surrounding area, report RT correspondents. 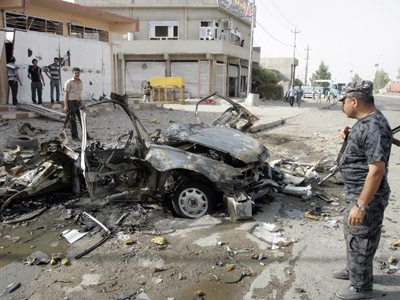 The attack targeted security manager Qassim al-Nuri’s convoy, report Baghdad police. RT’s offices are located on the fourth floor of a building close by and were not seriously damaged, but their internet connection was knocked out by the explosion. Al Azzawi went on to say security forces had cordoned off the area and no videos were allowed. He said police had told the media they would be able to enter the area after the clean up operation. RT Arabic’s cameraman and assistant were in the office when the blast struck, while correspondent Ashraf Al Azzawi entered the building following the explosion after being stuck in a traffic jam. The blast is the latest in a wave of attacks to sweep the country on the eve of Islamic New Year, at least people. Five car bombs and a roadside bomb hit in different locations across the country early on Wednesday morning, in attacks that appear to have been coordinated. 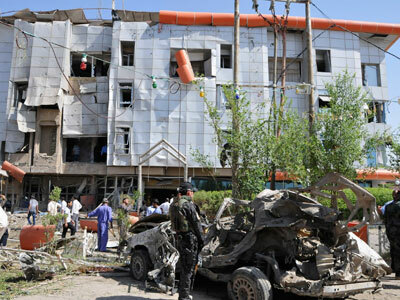 The deadliest explosions happened in the northern province of Kirkuk, where two car bombs and a roadside bomb were detonated, killing nine people and leaving over 30 wounded. 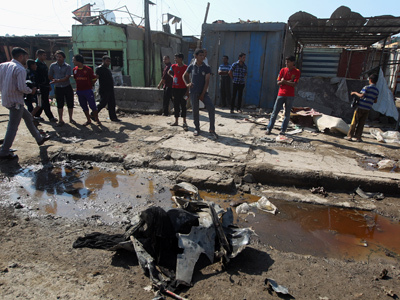 Separately, a car laden with explosives left four dead and nine injured in Hilla south of Baghdad. 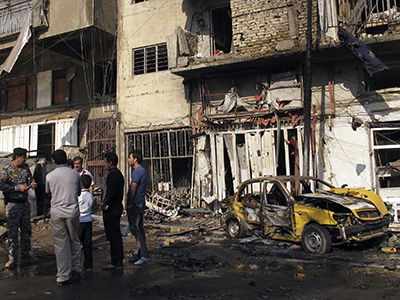 The blasts come a day before the celebration of the Islamic New Year, known as Muharram.